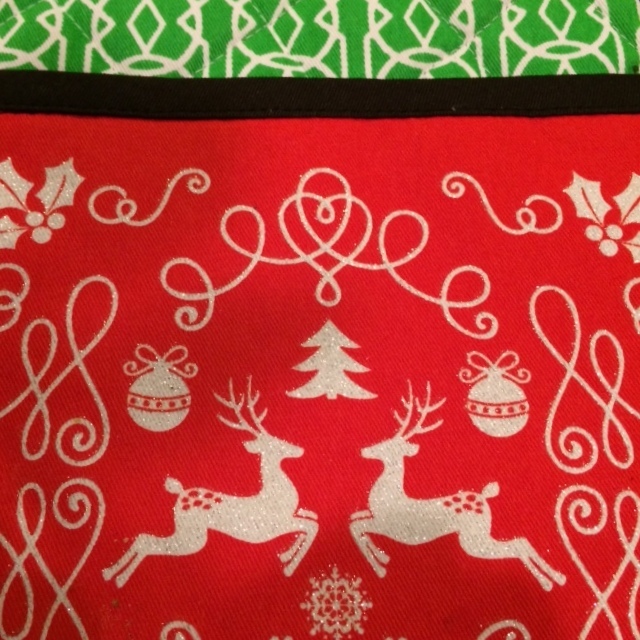 Look around – December colors are red and green. We decorate our houses, inside and out with shades of these colors, and they dominate party attire at holiday gatherings. With this salad you can take red and green to your holiday table. 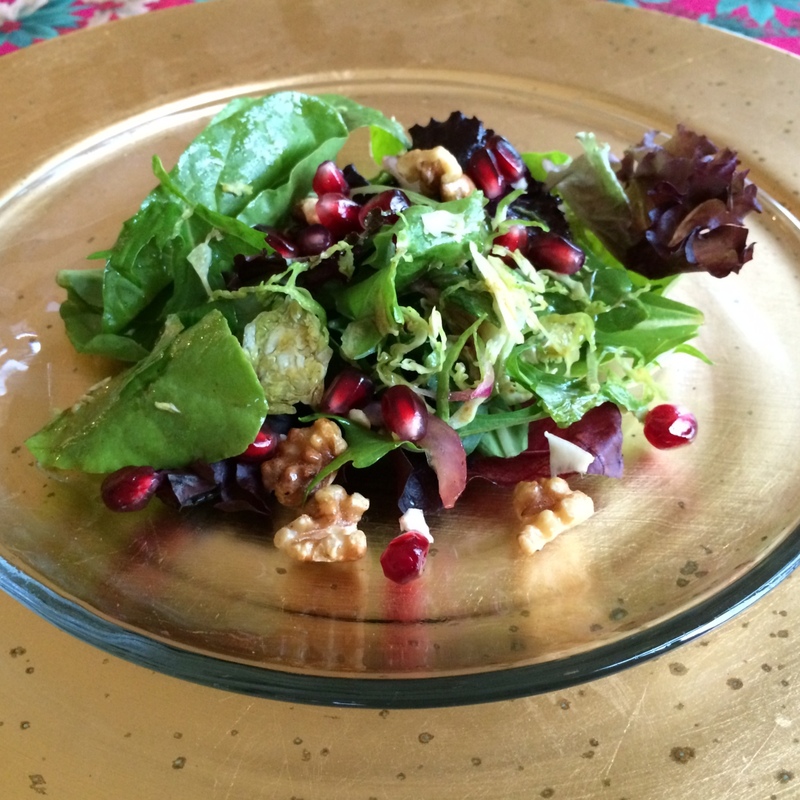 Salad is essential to my holiday meals – a fresh, crisp foil to the rich dishes that typify the season. And, dare I say “healthy?” Yes, this concoction is brimming with health-promoting nutrients to help you weather the stresses of the season and beyond. Shaved Brussels sprouts, fresh greens and toasted, tannin-rich walnuts balance the sweet pomegranate arils. A dressing of walnut oil, lemon and pomegranate molasses wrap it up with seasonal sparkle. 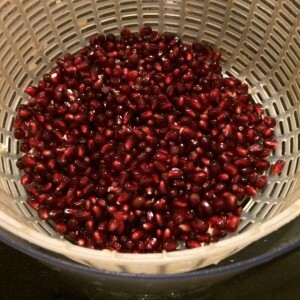 Pomegranate molasses has become a staple in my kitchen but it can be difficult to locate. I was thrilled to find a recipe in Fine Cooking Magazine (Reference 1) for a DIY version that went into this recipe. 1. Scrub the pomegranate well in running water to clean. 2. Slice off a sliver of rind from the top and bottom. 3. Score the rind, pole to pole, 4 to six times, depending on the size, to make it easier to break apart. 4. Submerge the fruit in a salad spinner filled with water. Pull the pomegranate apart where you’ve scored it. 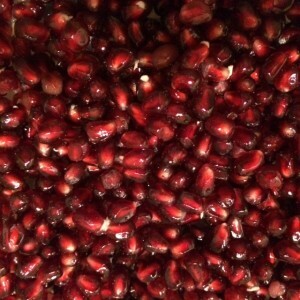 Remove the seeds from the membranes. Discard the rind and membranes. 5. Drain well. Spread the seeds on a clean kitchen towel or paper towel to dry. Chill. 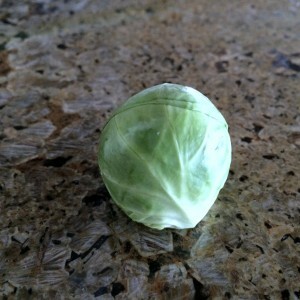 I use a mandolin or Japanese slicing tool to shave Brussels sprouts for salads, stir-fries and sautés. It’s a tasty way to incorporate these controversial yet nutrient-dense “baby cabbages” into meals. 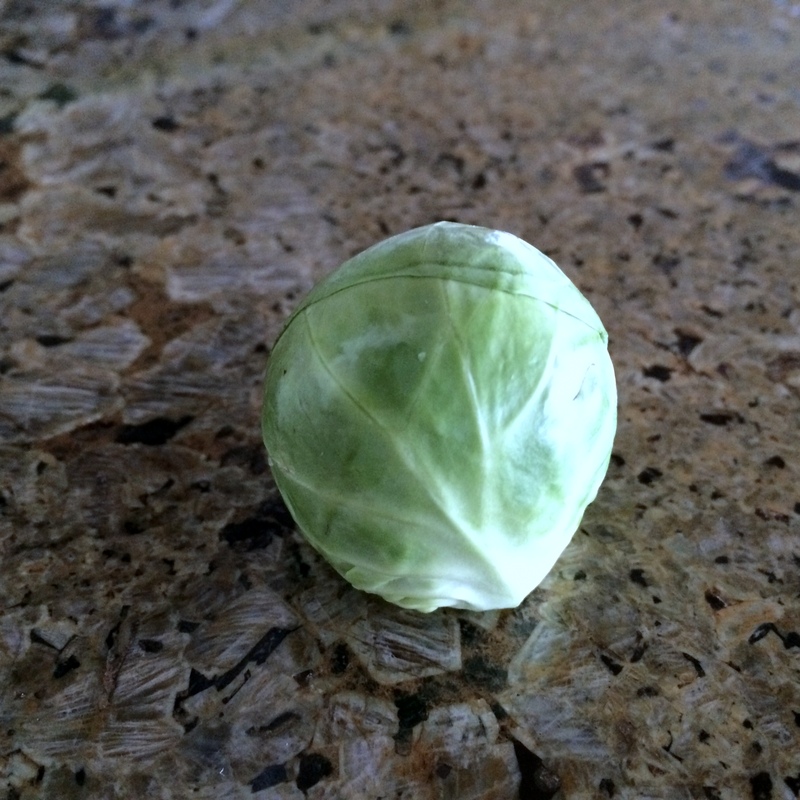 Part of the family of cancer-fighting cruciferous vegetables (Reference 2, 3). Brussels sprouts offer dietary fiber, vitamins C, A, B6, K, the minerals potassium and magnesium along with carotenoids like beta-carotene. 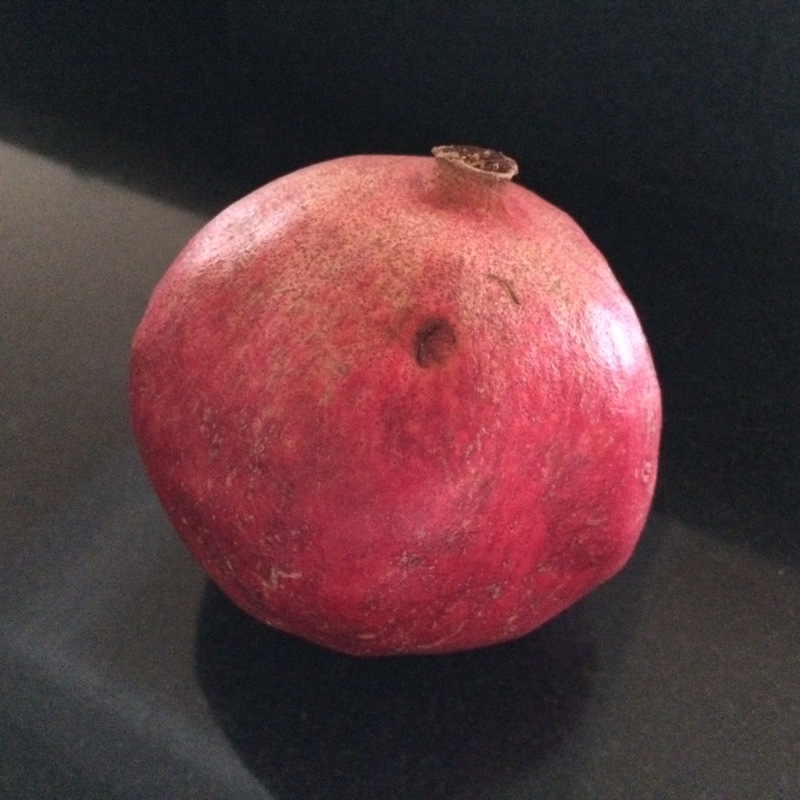 Pomegranates are backed by a health story, too. The fruit supplies vitamin C, fiber, and health-protective polyphenols and flavonoids that have antioxidant and anti-inflammatory benefits. Research shows they may protect cardiovascular health and guard against certain cancers. (Reference 4, 5). There’s a body of research to support the health benefits of walnuts (Reference 6), too. They offer fiber, protein, magnesium, antioxidants and are an excellent source of the plant-based omega-3 essential fatty acid, alpha-linolenic acid. Nuts are an excellent way to diversify your diet with more plant-proteins. Adjust the ratio of greens to dressing to suit your taste. To turn this salad into a light entrée add slivers of roasted chicken and a couple of hunks of a top-quality feta cheese. 1. Make dressing: In a small bowl whisk lemon juice, pomegranate molasses, honey, mustard, salt and pepper until salt dissolves. Whisk in walnut and olive oil. Taste and adjust seasonings to taste. Cover and chill until serving time. 2. To serve salad, combine greens, Brussels sprouts and onions. Add dressing and toss. 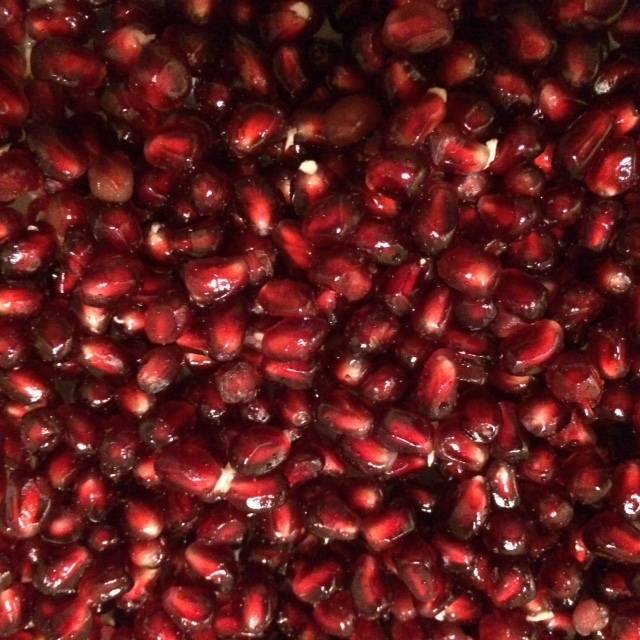 Sprinkle with walnuts and pomegranate seeds. Toss again. Serve promptly. Makes 4 servings.